The Urban Social Forum (USF) is an annual, open and free forum organized by Kota Kita and its civil society partners. It brings together civil society members, social activists, experts, organizations, students, member of communities, and citizens to discuss and participate in a critical debate about the direction of Indonesia’s urban development. Year after year, the USF grows, in doing so it expands the conversation about better cities to include more meaningful citizen participation, people, and communities. The Urban Social Forum seeks to appoint a campaign officer to be based in Solo City to work on the planning and execution of this year’s Forum in Solo, December 2018. The ideal candidate will be an eager and excited campaign officer with technical proficiency in creative textual (verbal and non-verbal) communication and visual communication, also other areas of production, in the planning and execution of the forum. • To write reports and prepare documentations (to support translation into Bahasa Indonesia) • To develop media partnership plan and proposal for national media and local media. • To manage good relationship with the media for story coverage, writing press releases, and mobilization of journalists to the forum. • Have interest and knowledge in urban and social issues. Affinity for the Urban Social Forum’s mission and are driven by a strong motivation and eagerness to contribute to real social change. Yayasan Kota Kita, or Our City Foundation, is an Indonesian non-profit organization that began in 2010, our goal is to help people make thoughtful and inclusive decisions about the development of their cities -by facilitating citizen participation and collective action. 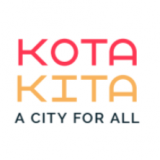 The slogan of Kota Kita is ‘A City for All’. Kota Kita has worked on projects covering a diverse range of urban issues, including climate change, water, sanitation, mobility, strategic planning, participatory budgeting and design, to hosting large-scale events such as the Urban Social Forum.